This course examines the relationship between religious institutions and the state in East Asia. Focusing on China and Japan, we will learn about the impact of religious ideas, practices, and organizations on social, political and economic processes and inspect the role of religion in the consolidation of individual, communal, and national identity. Adopting a comparative and transnational approach, we will examine the impact of Asian religious traditions: Confucianism, Daoism, Buddhism, and Shinto, as well as global religions such as Islam and Christianity, on the states and their role in shaping power relations on the international level. Godzilla! Mothra! Rodan! Totoro! Pikachu! If you know who they are, join us to discover the deeper meanings of monstrosity in Japan. If you don’t know who they are, learn the literal, metaphorical, and cinematic implications of these giant (and not so giant) beasts. Watch Tokyo go down in flames, and discuss what that means for New York and Philadelphia! Explore the history, literature, and films of Japanese monsters in this undergraduate seminar. This course will survey the history of relations among the great powers in East Asia from the sixteenth century to the present. Special emphasis will be given to regional and global developments from the perspective of the three principal East Asian states-China, Japan, and Korea. We will explore the many informal, as well as formal, means of diplomacy in East Asia over the past 400 plus years. History of ceramic forms, techniques, and aesthetic principles in China, Korea, and Japan from neolithic times to the present century, illustrated by slides and examples, augmented by readings, field trips, and student presentations. Aimed at students with general interest in Japan and/or ceramics history; particularly but not exclusively those majoring in Asian and Middle Eastern Studies, East Asian Area Studies or History of Art; also art majors interested in ceramics. How do people make sense of the multiple experiences that the simple words “love” and “loss” imply? How do they express their thoughts and feelings to one another? In this course, we will explore some means Japanese culture has found to grapple with these events and sensations. We will also see how these culturally sanctioned frameworks have shaped the ways Japanese view love and loss. Our materials will sample the literary tradition of Japan from earliest times to the early modern and even modern periods. Close readings of a diverse group of texts, including poetry, narrative, theater, and the related arts of calligraphy, painting, and music will structure our inquiry. The class will take an expedition to nearby Woodlands Cemetery to experience poetry in nature. By the end of the course, you should be able to appreciate texts that differ slightly in their value systems, linguistic expressions, and aesthetic sensibilities from those that you may already know. Among the available project work that you may select, if you have basic Japanese, is learning to read a literary manga. All shared class material is in English translation. If you have ever wondered about the following questions, then this is the right course for you: Is Japan a hyper-feminine nation of smiling geisha and obedient wives? Is it a hyper-masculine nation of samurai and economic warriors? Is it true that Japanese wives control the household? Is it true that Japanese men suffer from over-dependence on their mothers? What do young Japanese women and young men worry about? What does the government think about the future of Japanese women and men? Assuming that expressions of gender and sexuality are deeply influenced by cultural and social factors, and that they also show profound differences regionally and historically, this course examines a variety of texts–historical, biographical, autobiographical, fictional, non-fictional, visual, cinematic, analytical, theoretical–in order to better understand the complexity of any attempts to answer the above questions. This course tackles about a millennium of pre-modern Japanese political, social, and cultural history (roughly, 700-1700). Instead of attempting to cover the period chronologically, as an introductory survey might, this class is structured as a series of case studies. Each of these will take a primary source as its point of departure and explore one or more facets of Japanese history and writing. In the course of each case study, lectures and discussions will branch out from the main source to examine its historical context as well as the (political, cultural, textual) traditions that informed that source s composition. In general, students will read the entire texts of the main sources (or significant portions of them), along with scholarly articles and shorter excerpts from other sources, composed at the same time or in the same vein/genre. During lectures and discussions alike, students will be asked to engage the readings, so as to grasp the specifics of Japanese history and practice the analytical skills required of historical discourse. This is a seminar required for all Japanese majors in the Department of East Asian Languages and Civilization. Topic varies year to year. Topic varies. Fall 2018: This course will consider Japanese woodblock prints, illustrated books, and paintings from the seventeenth through the twentieth century. Topics include: the formation of “Ukiyo-e” or “the pictures of the floating world” as a genre; the development of the publishing system and its audience; specific artists and their works; the reception of Japanese prints in Europe and America; the modern reinvention of the woodblock print; and others. 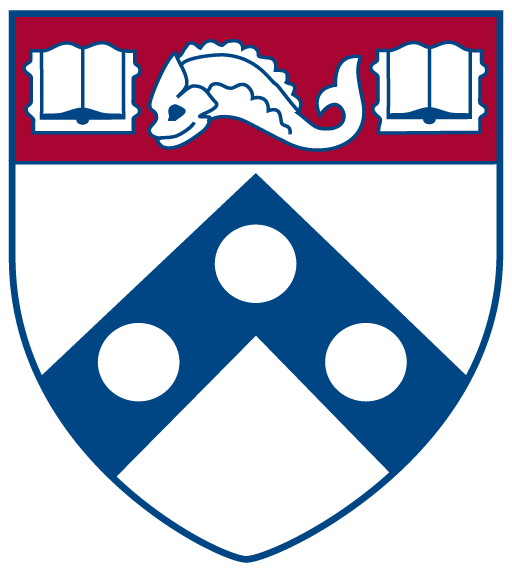 We will also make extensive use of the collections held in the Kislak Center, the Philadelphia Museum of Art, and in other local collections. Assignments may include: close study of a single work; web page development; research paper; regular participation in discussions. An accelerated course in scholarly Japanese for Sinologists and others with a knowledge of Chinese characters.